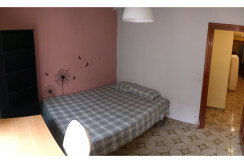 Zaragoza Flat Share | Rooms for rent in shared flats for ERASMUS students in Zaragoza. We have rooms for rent in shared flats for students from the different Universities of Zaragoza who belongs to different programs as ERASMUS, AECID, AUIP, SENECA. No commissions!!!! Send us your email and we will notify you when we have new rooms available.